Looking for private in-home or in-studio Music Performance lessons? Our Grandview teachers are ready to get you started. Find your teacher today! I have years of experience performing live music, so I can teach students to have the confidence in performing in front of people. With over 10 years of experience I will help you improve your technique, your knowledge, and your talent to help you become the best performer you can be. I graduated from the University of Kansas with a degree in Music Education (vocal emphasis) and a trumpet performance minor. I then completed my Masters in Vocal Pedagogy in December of 2015. Right now I am teaching K-8 General music and 5-8th grade band and Chorus. I have been a private studio instructor for the past 6 years. If you are pursuing trumpet I can enhance your skills whether you are just beginning or are already an intermediate player. t happen. I will create a curriculum according your personal needs and skill level. If you are taking lessons with me you will learn lots of music theory and music history. I want you to understand the style and reasoning behind each piece of music you play. The in studio lessons are taught in the living room which includes a piano (88 key weighted), books, and seating. Student must provide own trumpet. Parking is in guest spaces. The Elementary School lessons are taught in a classroom which includes an upright piano, books, & seating. Student must provide own trumpet. Parking is in lot. Was great help, and improved many things with my son's trumpet playing. Would definitely recommend to anyone trying to learn or improve certain instruments! Susannah was so pleasant and upbeat. My son was pleased with what he learned in just his first lesson. We look forward to the next one! If you take music performance with me you can expect to learn how to perform well in front of an audience, being expressive both physically and with your voice. 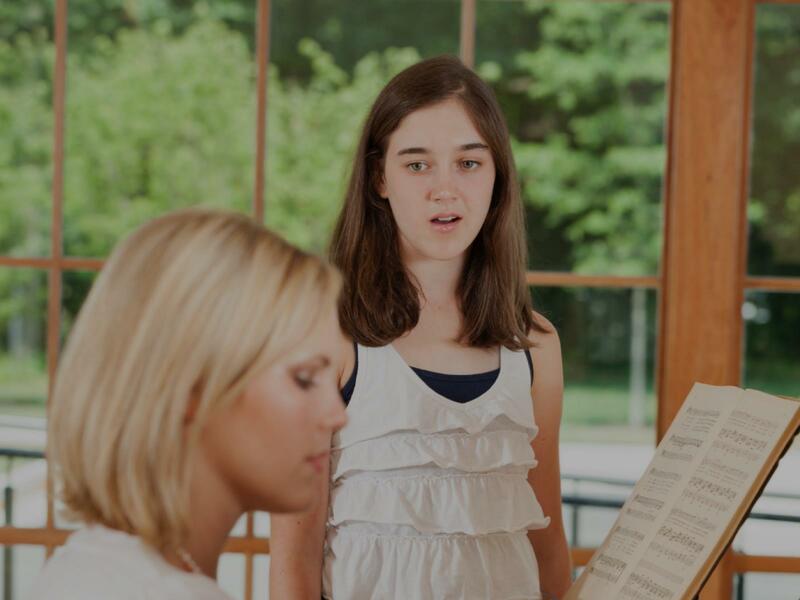 If you are doing singing lessons, you will learn to sing well with expression. I can prepare you for singing or speaking auditions for different venues like school plays, talent shows, competition shows like The Voice or American Idol. There are many different styles to choose from for either vocal or speaking performance. I believe that a lesson should be take every week as it keeps the learning progress going and keeps the interest, too. I like to have fun during lesson time, but we also work hard. Lessons mainly focus on preparation, selection of material, ect. Over 25 years experience in Musical Performance and teaching live performance techniques. Get constructive feedback to improve your performance skills! As a Music Director and Producer of various Musical performances and events, let me help you prepare for that upcoming Music performance or audition! Whether it's choreography, instrumental, musical theater, or Drum Major auditions - I can help! I have been performing music since I was in 5th grade and give insightful information and tips to keep cool when on stage!